Work Begins at The Heights — Georgia & Lamont | Park View, D.C.
Just a very quick update that work has finally begun at the southwest corner of Georgia Avenue and Lamont Street, NW. 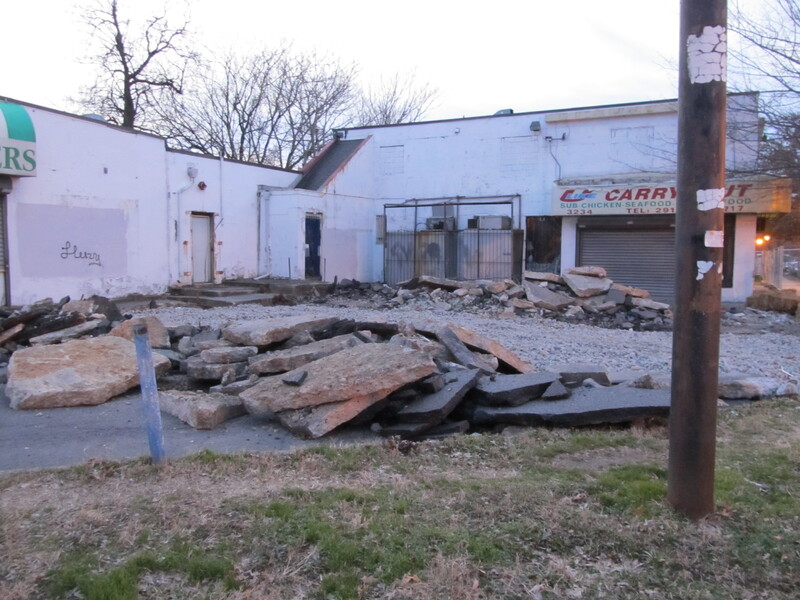 Demolition of the site should happen relatively quickly in preparation of the Neighborhood Development Company’s Heights development. With the exception of Landex’s Avenue project, 2011 showed little progress on Georgia Avenue and NDC’s developments seemed to completely stall. It’s good to see that these projects are still forthcoming even if far from their original timetable. This entry was posted on January 17, 2012 at 7:01 am and is filed under Development, Housing. You can subscribe via RSS 2.0 feed to this post's comments. Nice to see The Heights get started. If I recall correctly, there’s a building on Sherman Ave. already called The Avenue. I though 2910 Georgia Avenue was a nice addition to the area in 2011 – 20 market rate units sold and settled.